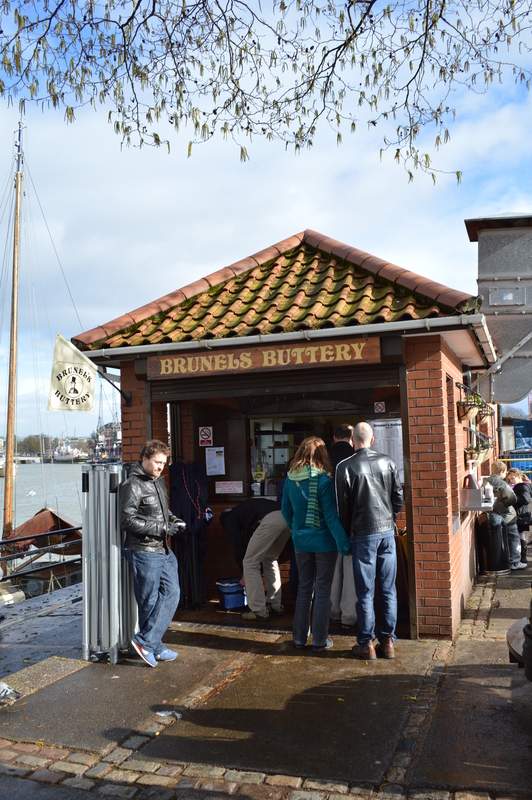 The Buttery is a Bristol institution, a firm favourite for the mix of canal boat dwellers, office workers and tourists that gather around the Harbourside in all weathers. It’s a bit like stepping back in time – chips in cardboard cones, milky coffees served in brown glass mugs from your granny’s days – and there’s something reassuring about a place that has stayed committed to simple food without the words “hand-crafted” “traditionally sliced” or “rustic” anywhere in sight. The Buttery itself is a tiny shed from which breakfast favourites are despatched with aplomb – bacon butties, fried egg rolls, sausage baps, any and all combination of the three with extra portions of cheese, black pudding or mushrooms to create a truly cholesterol raising start to your day. On busy weekends you take a number wait – but there’s plenty of aquatic life to contemplate with tug boats, pirate ships and irate swans all competing for space in the busy waterways; you’re likely to be joined by pigeons and the odd hungry dog as your orders arrive through the hatch wrapped in a single white serviette. In Bristol we’re blessed with many fine eateries, all proclaiming a passion for provenance, few food miles and artisanal beginnings – undeniably worthy, but often beyond the means of many. And it’s here where The Buttery proves its worth – a no-nonsense greasy spoon serving cheap and tasty breakfast to Bristol’s finest. 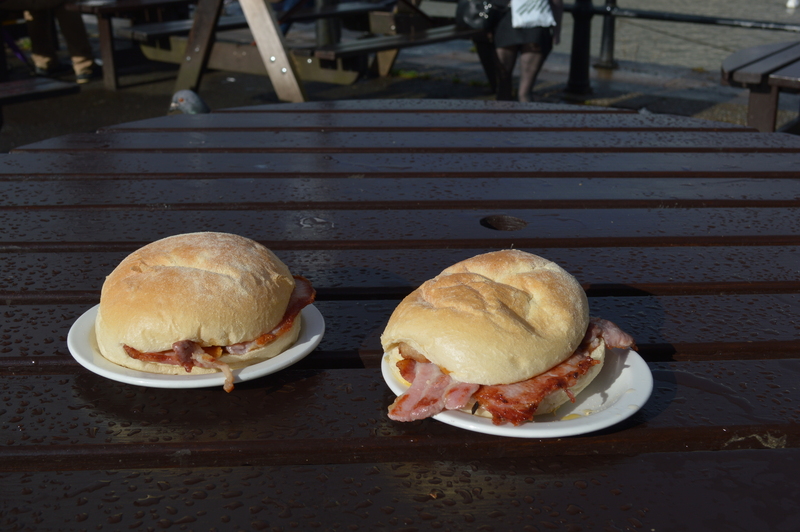 Price: from £2.20 (bacon roll) to £4.90 (bacon, sausage and cheese baguette). At the turn of the year it’s always tempting to tell all those who proclaim it’s time for a “new you” to “naff off” – whatever’s right or wrong with you at 23.59 on the 31st December, you’re likely to be much the same at 00.01 on the 1st (if a little shoutier, backcombed and more glittery). So, with the aim of not making any new year’s resolutions whatsoever, it seems apt to write about the most un-organic, un-seasonal, downright unhealthy breakfast joint in town – The Princes Pantry – perfect for those with a hangover that lasts well into January. In an unassuming hut on the corner of a busy T-junction, the Princes Pantry has been attracting its own loyal band of clientele for years, all in search of something fried between slices of white, square bread and cooked on a skillet that was last cleaned when news of the Millennium bug spoke of our almost certain demise. Breakfast options have their own imaginative titles – “Cardiac Arrest”, “Gut Buster”, “Beast” – and are handed to you wrapped in white napkins or encased in polystyrene. Most of the early morning crowd opt for the traditional Breakfast Roll, with or without added sausage, bacon and/or fried egg and all the sauces you’d hope for (red. And brown.) Tea and coffee come from massive urns on the counter and if you’re feeling particularly fancy you can opt for a baguette instead, or even mayonnaise. In recent times they’ve diversified for the lunchtime crowd and offer homemade soups, falafel, pizza or slices of avocado to nestle in your BLT. 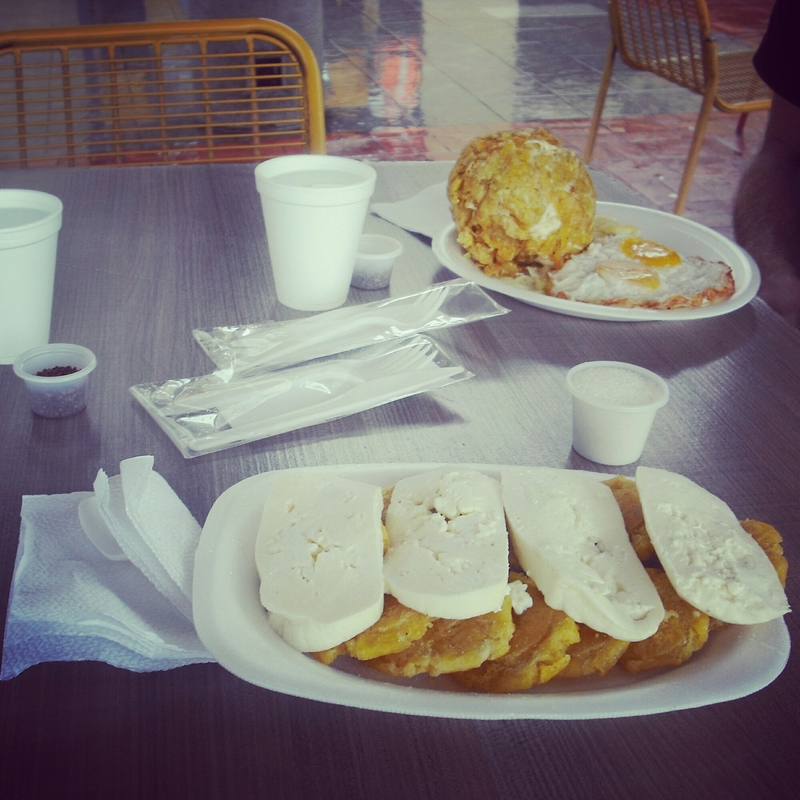 But, without a doubt it’s at its best providing cheap, breakfast favourites to the hungry masses. A greasy spoon and proud – as well it should be. 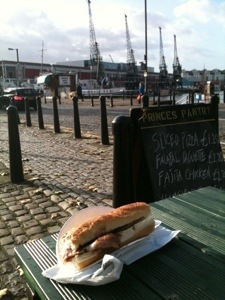 Price: from £2.10 (bacon roll).